3 votive candles based on a mirror to complete the look. I was able to get a good shot of the flowers outside before the rain got the best of things....Flowers were moved inside for the ceremony. 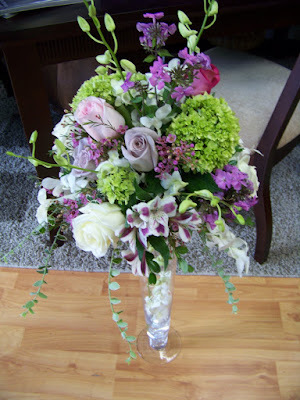 Bride-Maid of Honor-Flower Girl bouquets. I have ever made! 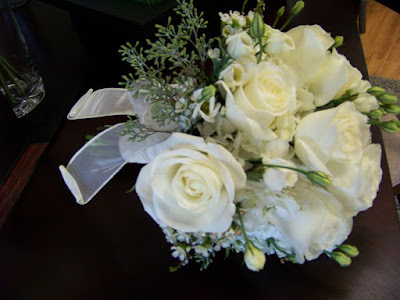 It consisted of cymbidium orchids,white lilies, white and blush calla lilies. No greens, just a pure petal on petal layered look. 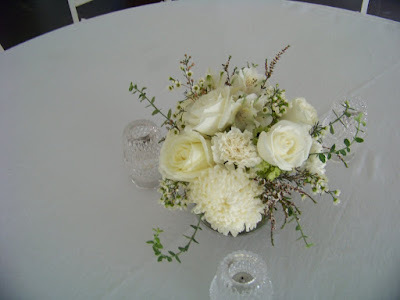 wedding party or family all had white flowers. 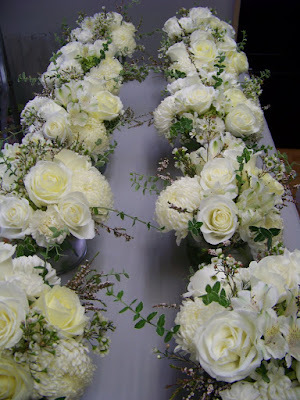 elevated centerpieces before it left the studio.